Ann Koger is one of the most inspirational women that I have had the opportunity to become acquainted with in my lifetime. She is one of those invincible human beings that fulfilled her dreams and life pursuits at a time when segregation and racism were wholly systemic and acceptable. The accomplishments achieved by Ann practically appear as if doors for African-Americans and women were wide open and inviting, when in actuality they were closed and unwelcoming. A four-year letter winner in four of the seven varsity sports (basketball, field hockey, volleyball and tennis) she competed in while at Morgan State University and was inducted into the school's Athletic Hall of Fame in 1982. 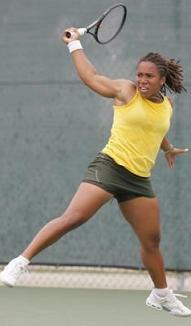 Is a certified USPTR teaching professional and a member of the Intercollegiate Tennis Association (ITA). Her educational background includes B.S. and M.S. degrees from Morgan State University, and an Ed.D. in Sports Administration from Temple University. Officiated at many levels of basketball for 25 years, and in 1985, she became the first woman to officiate an NCAA Division I men’s basketball game. The First Vice President of the American Tennis Association, Koger was the co-director of the 1985 NCAA Division III Women’s Tennis Championships. Honored by many organizations throughout her career, Koger received a national community service award from USTA/Volvo/ITA in 1989 and another from USTA for Division III in 1996. 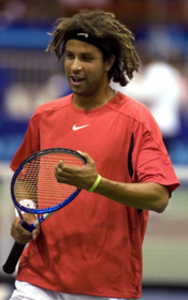 In February 2000, Ann Koger cancelled the Haverford College women’s tennis team training in Hilton Head, South Carolina to join the national boycott over the Confederate flag that flies over the state’s Capitol Building. 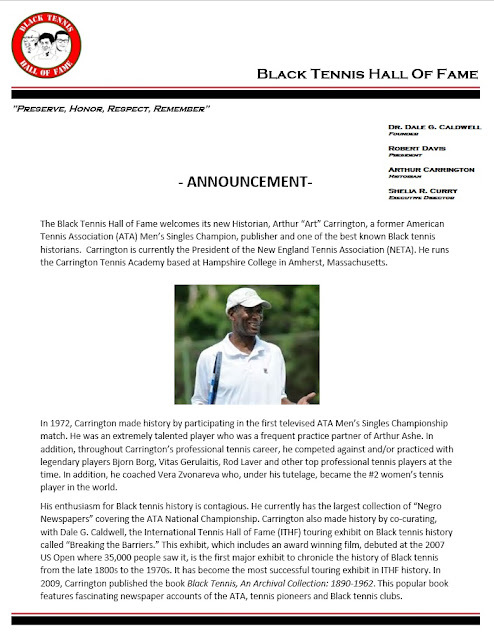 Honored as part of the 2007 International Tennis Hall of Fame Exhibit ‘Breaking the Barriers’ at the 2007 US Open in New York, N.Y. as an accomplished and pioneering professional tennis player and as a contributor to the exhibit through artifacts and oral history. 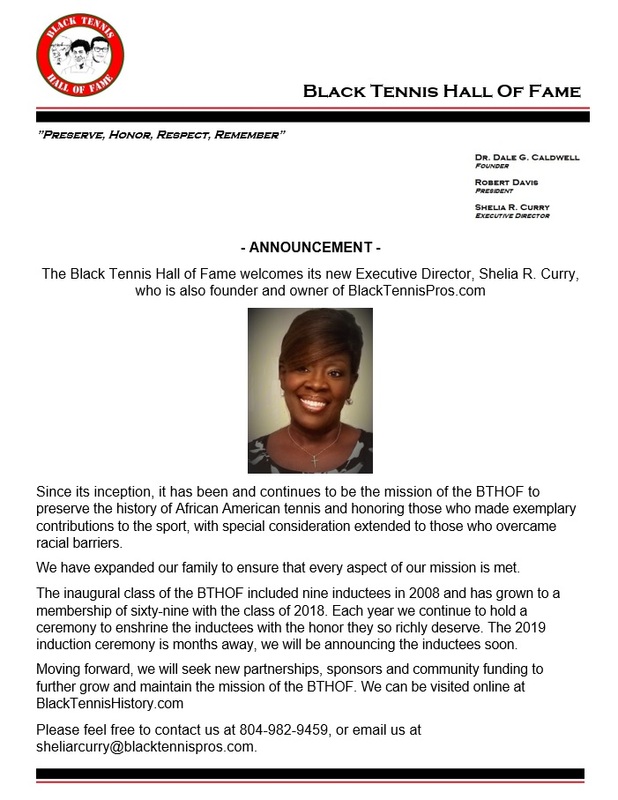 Devotion to tennis has earned her a spot in the United States Tennis Association (USTA) Middle States Hall of Fame Class of 2010. 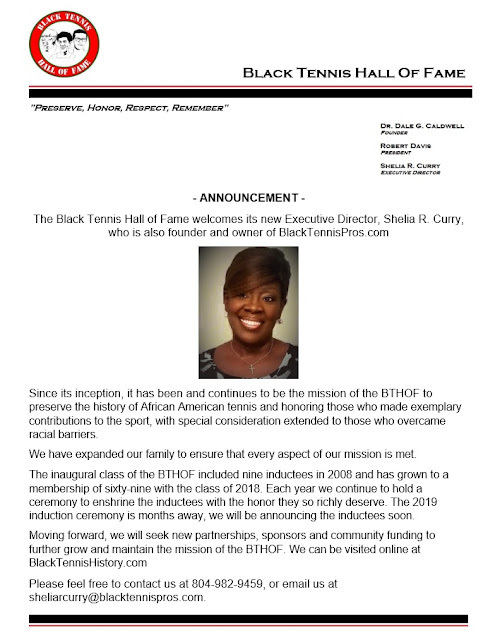 Served as 2015 Coach of the United States Tennis Association Middle States Girls 18 National Team Championship. You have no clue, or perhaps you do, how encouraging your life experience is to those of us who read it – especially given the time in which you grew up. You have set so many standards in life, across the board. You are a paradigm in sports and in society because of living a life without walls that could not be stopped by the design of American society. How do you now see your ability to live your life the way that you have? 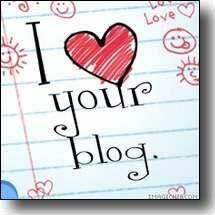 Do you find your life’s experience as incredible and encouraging as I do? Well, some people have asked me that before and to be very honest, I don’t think of myself in that light. I think of myself as someone who has set out to accomplish some things, and a person who has set out to do something that someone told me I couldn’t do, so I was determined to do it. And as far as most people around me, teachers and family, I never got any instruction that I couldn’t do that, because I was Black, I couldn’t do that because I was a woman. 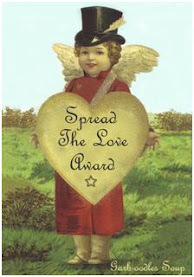 My mother’s favorite saying when somebody said you can’t do something was, “And why not?” She was always pushing back. And also in my family, my immediate family, my aunts and uncles were very accomplished educationally in different careers, so I thought nothing of saying, respectfully, whenever possible, saying what was on my mind, and doing the things that I thought I should be doing and that were appropriate to do and some things that nobody else had done, so I thought it would be fun to try to do it. But I never thought of it as breaking a barrier and doing something that no one else would do, and people would gasp and say “wow, that’s something else there…”, I just never think of it like that. I just think of doing things and moving forward and helping people who want to do those same type of things or do some new things, and moving on. Do you think that perhaps you see it that way because of the design of American society at the time? Well, I grew up in Baltimore, Maryland, where I started my tennis training and we had the old Colored tennis courts and the White tennis courts, and we had the White clubs that we couldn’t go into, and we also had Jewish clubs because Baltimore had a very heavy Jewish population growing up, and it wasn’t so much being a child, and a young adult saying I have no courts to play on, but I played on the courts that we were allowed to play on. I knew it was something racial, but it was kind of interesting because you had to get permits to play on the White courts and the orange clay courts, but when they were done for the day, we could play on them – it was open to us. But they had first reservations on them. The other thing that was helpful that I saw and benefitted from was that when the Jewish people were allowed to be on the court after White people and then with White people, they would help us by passing the permits to the adults to play, then when the adults were finished playing, the kids could come on and play, or if the courts were open we could play. So, it was never that we didn’t have facilities to play, it was that you had certain places where you could play. But had to go through changes to play there. Yeah. They now have a monument near where the clay courts used to stand near the Flower House in Baltimore where a group of players from the two prominent Black tennis clubs, one of which was the Baltimore Tennis Club which was the outgrowth of the Monumental City Tennis Club who hosted the first American Tennis Association (ATA) Nationals in Baltimore in 1917, were arrested for trying to get onto the tennis courts and had to go to court, and I assume probably had to pay a fine for being disrespectful. Later on, a memorial came in its place, but after that trial, in the mid to late 1950s, that’s when barriers were beginning to be broken. By their actions, it opened up a lot of things, not just in tennis, but for integration. And growing up, I saw those things as a kid. It wasn’t made a big deal to me, but I saw that happening and I knew that when the adults could do things, then that meant that I could do something. So, as a child, you didn’t feel inundated with segregation. Well, I didn’t, because I was a kid - I was born in 1950, when you had all of those landmark cases getting ready to occur when I was young. I had an older cousin who was involved in the NAACP, aunts and uncles who were involved in a lot of the court actions as lawyers and teachers who were very community minded. I wasn’t not educated about it, but because I had a family, along with their friends, who were so involved in it, I felt covered and protected in that, these people were going to make things happen for the people who couldn’t do them. Growing up in Baltimore had its issues, the neighborhoods were challenged. Of course, in some neighborhoods we had a higher concentration of different racial groups and we as Black people tended to start to move behind Caucasian people in their neighborhoods, and even moreso, the Jewish people. We moved from a predominately African-American neighborhood into a predominately Jewish neighborhood. And the Jewish people moved out of town – they called it running (they were running from us). The dynamics of being in school when I was in the African-American neighborhood that I grew up in, Madison Park/Bolton Hill where the Caucasian people had vacated, then we moved into the neighborhood that was Jewish, we were the 5th or 6th family that moved onto the block, and eventually they were waiting for their houses to be built in Pikesville, outside of Baltimore, and as their house were completed, they would move out and more Black families would move in. And the same dynamic occurred in schools. The school I transferred from was all Black, all Black teachers – I didn’t know any White teachers. I moved to a school, when I was in the fifth grade that had predominately Jewish teachers - that was something different. My physical education teacher happened to be someone who grew up and went to college with my mother, and she was the only Black person in the school. When there was a Jewish holiday, there was one 5th grade class left in the school, because all the Jewish kids were on holiday – it was just amazing, it threw me off. And our substitute would be a Black person. I could see things changing that way. How it impacted tennis and my career, when I started playing tournaments in Baltimore, there were only a few junior tournaments, a few of us junior players which at that time were 17 and under (now it’s 18 and under), so it was only about four or five of us that played and we were in the junior development program of The Baltimore Tennis Club. We would play in tournaments and we’d all be in the same bracket, by coincidence we were told – over, and over again. By the time this happened for the second or third time, even as kids we knew that if anybody came through, it could only be one. It could only be one person of Color that could come through. That occurred, coming from junior tennis, with me. At first I felt as though I wanted to win because I was playing in the sport and I’d honed my skills and I wanted to win the tournament. But I also knew that I had the burden of being or surviving through the draw as the only Black person to get to the finals. And then I knew that I was subject to being cheated, either by the person across the net, and sometimes the official, I had to learn how to handle that. The first time that happened to me, I tried to appeal to the desk, and they wouldn’t even come down and help. I was taught that in sports you had to be fair. I went back down to the court, and the young lady that I was playing against, started cheating even more. So, when the match was over, I had been taught that you had to shake hands, I went up there and shook her hand, and I told her, “I’m gonna keep playing tennis until I meet you again, and I’m gonna beat you.” She looked at me like I was from outer space. Then, of course, being a 12-year-old, I go up and sit down under a tree and boo hoo’d and made up my mind that either I was going to play this sport and overcome this mess – or quit. So, I just kept going. 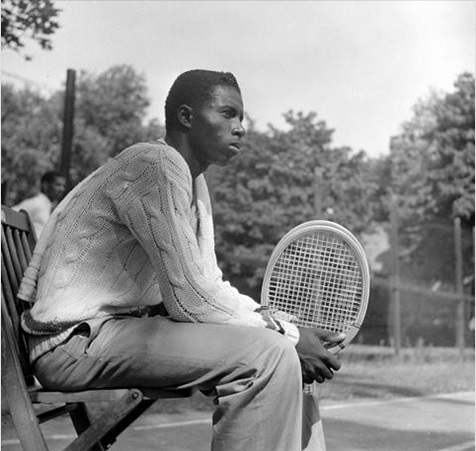 Then people started coming to my attention, such as Althea Gibson and Arthur Ashe and Dr. Johnson’s troop that he took around to play tennis matches – mostly in tournaments that were just starting to accept Black people in tournaments, because there were still some that we couldn’t play in because they were on courts that we weren’t allowed on. It was a lot of those different feelings that, I’m going to stick with this, and I’m gonna keep playing until “I” decide that I don’t want to play anymore. I wasn’t gonna let somebody decide for me what I wasn’t going to do anymore. 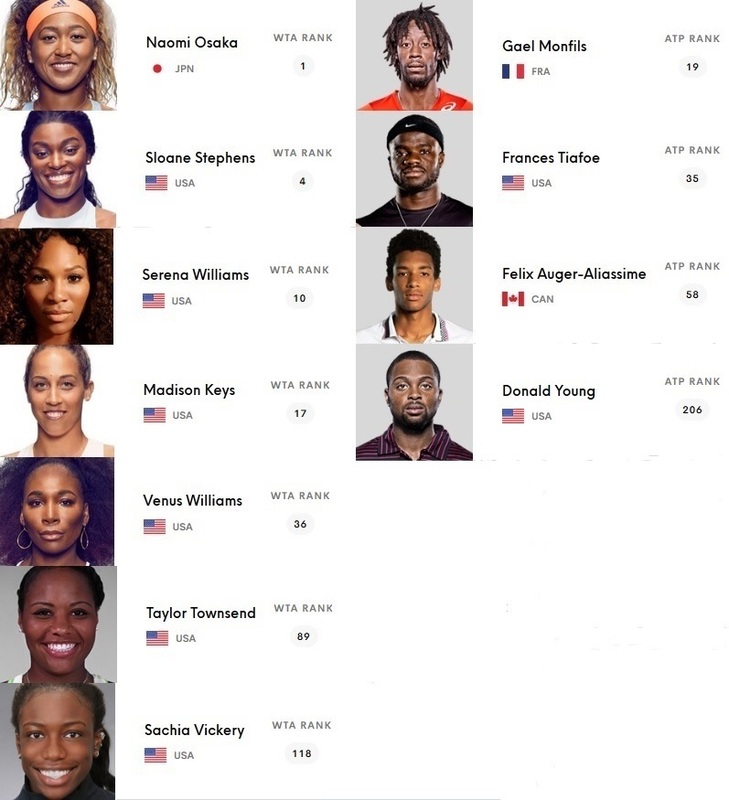 Given the circumstances within which you grew up, how do you look at tennis today, with specific regard to how Black children are allowed into the sport and what’s available to them. Do you see it as particularly evolved, or still needing some evolution? Well, I think there could be a whole lot more of an evolution. 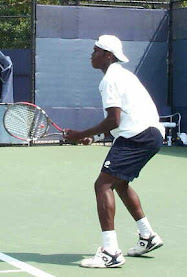 In coaching for the United States Tennis Association (USTA) middle states, I was coaching some junior teens, and when I started out coaching, of course I knew that there would be few to none youth that would qualify to go to national championship play. And over the years, I started seeing a few more, and a few more and it was… I’m not a person to cry like that, but if I was, it was like “Wow!” There are more kids out here that are getting to the level where they can qualify for nationals and special teams. When I started coaching the Girls’ 18s National Teen Championship, each year I saw more and more and then one year I came, I almost did cry, because as I looked over the field of play I could see all the different kinds of juniors of Color, Chinese kids, African-Americans, kids that had come to this country and grown up from Haiti, East Indian players, and they looked like they were the predominant group that year – I just stood there in awe. I knew that we had finally come to a point where we had some participation over the one or two, and that they were out there playing national level of tennis. Now as far as the other side of evolution, we still don’t have enough – tennis is an expensive sport. When I came up, they said it would cost upwards of $10,000 a year to be able to go out and play all of the tournaments that I needed to play to be nationally ranked, so I knew that figure had jumped up. 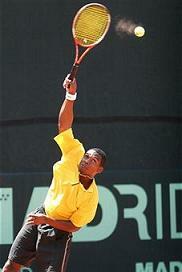 That meant that those kids had come from affluent families, or they had some level of sponsorship either through their tennis section, their clubs, their families, their communities, and that they had places to train that had coaches that knew how to take them to the next level of skill accomplishment. In that area, I think we’ve done better, but I still think we have a ways to go, because under the president for the past two years of the USTA, Katrina Adams, I think she has made a great contribution, not just in face, people seeing her face, but because she’s on the inside and she knew those challenges growing up in Chicago playing tennis, that there was more work to be done and that work is not over. But I think that we still need to find a way to get down to bringing tennis to the neighborhoods and keeping those kids in the sport of tennis. 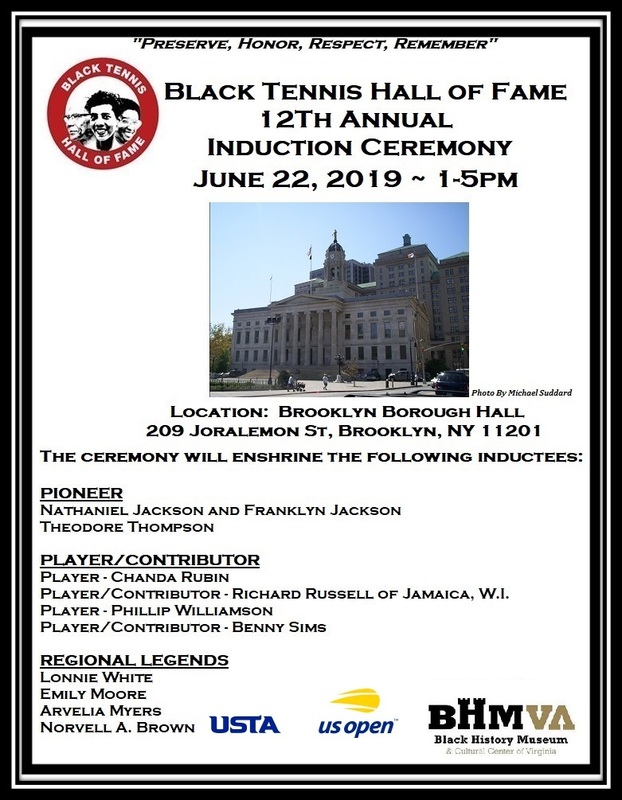 I think we can start to attract them, and mostly because the generation we’re dealing with, unfortunately, Althea Gibson is somebody they don’t know, and Arthur Ashe is somebody that they might know, but maybe because they’re older to them. They look at Venus and Serena Williams and they’re more realistic to them and are their heroes, coming from Compton and the family bringing them up and striving to make them champions under the father’s methods of teaching them tennis. They can look at them and actually relate. Now of course those kids have another draw where they have basketball where it’s easier to get to the top in basketball and there’s always teams and somebody sponsoring them and they can earn their reputation of excellence right in their little community and hometown – with tennis, you have to travel to do that. Football the same thing, soccer has become the same kind of thing, tennis is not necessarily the neighborhood sport where somebody can help you financially get to the top. You have a few pros now who are teaching at the community level, but you actually need to have coaches with the knowledge of each level on the ladder that you climb to get you to the next level and beyond, and you might have to get a new coach… well, they cost money. Coaches cost money, tennis courts aren’t cheap, and they’re not cheap to maintain. There are a lot of variables out here that have helped the juniors and kids who have gravitated to tennis, but we have to find a way, and it’s mostly financially, to keep them in tennis. Venus Williams played Angelique Kerber in the quarterfinal round of the BNP Paribas Open. 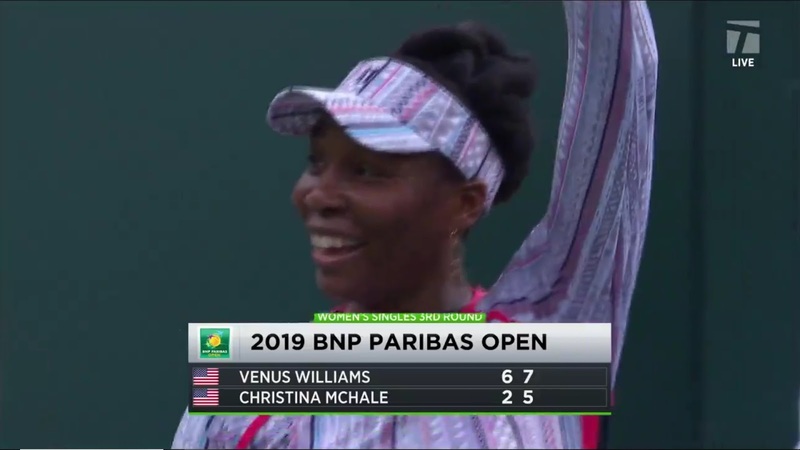 Venus Williams was enjoying a very spirited and competitive run at the 2019 BNP Paribas Open. Unfortunately, in her ninth meeting with Germany's Angelique Kerber, Venus was eliminated from the quarterfinals 6(3)-7, 3-6. 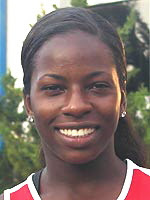 Venus is currently scheduled for the upcoming Miami Open March 18-31. "I want to thank you for everything you gave me this week"
Chris Eubanks, Coco Gauff, Whitney Osuigwe and Mari Osaka headed for 2019 Miami Open. The Miami Open announced on Reddit today its list of main and qualifying draw wild card selections. 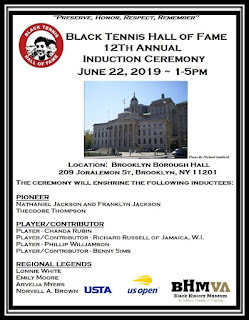 Included in the main draw listings are Chris Eubanks, Coco Gauff, Whitney Osuigwe and older sister to current World No. 1, Mari Osaka. Twenty-two year old 6'7" Christopher Eubanks turned pro in 2017, currently ranked at 154. Fifteen-year-old Coco Gauff, this will make her first Tour level appearance. 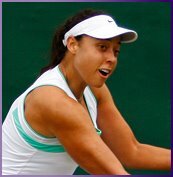 Sixteen-year-old Whitney Osuigwe turned pro in 2017, currently ranked at 213. 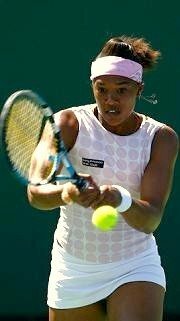 Twenty-two-year old Mari Osaka, currently ranked at 336. Untitled from Bob Davis on Vimeo. Black Tennis History is sad to announce the passing of Hall of Fame Oscar Johnson. 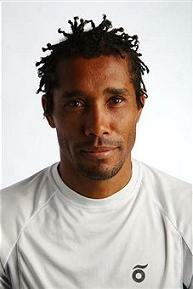 Oscar was inducted into the Black Tennis Hall of Fame in 2010. 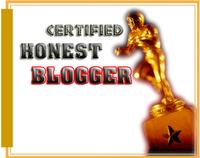 We were fortunate to conduct a video interview with Oscar, which you can view on www.blacktennishistory.com. A great champion, a wonderful man, a pioneer who opened the door for the thousands who followed. 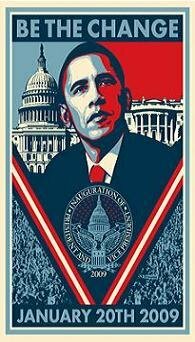 He will be missed! Frenchman Gael Monfils took game to German Phillipp Kohlschreiber in much the same way Kohlschreiber took it to Serbia's Novak Djokovic in the previous round. Monfils left no stone unturned from game one. 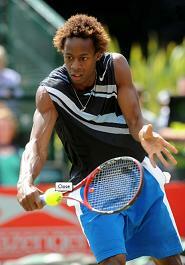 There was barely a shot from across the net that Monfils did not capitalize on as he defeated Kohlschreiber 6-0, 6-2. Kohlschreiber initially appeared to be prepared for whatever Monfils would bring, unfortunately he obviously had no clue that Monfils would be bringing match play to the nth degree. Kohlschreiber has now suffered six consecutive defeats from Monfils. 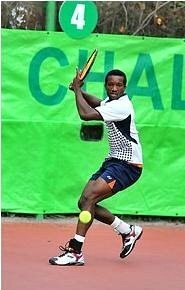 Monfils recently returned to the rankings in the top 20. With his current game, this should be a seriously impressive season. Up next in the quarterfinals for the Frenchman is Austrian Dominic Thiem. Naomi Osaka's title defense ended with a trouncing from the No. 23 seed Belinda Bencic of Switzerland. In 65 minutes, Bencic blew through the match taking Naomi out at 6-3, 6-1... WHOA!! This is the second event that lead Bencic to defeating a World No. 1. In 2015 Bencic defeated Serena Williams and went on to win the Toronto Rogers Cup. With today's loss Naomi will continue to retain her World No. 1 ranking through Miami. 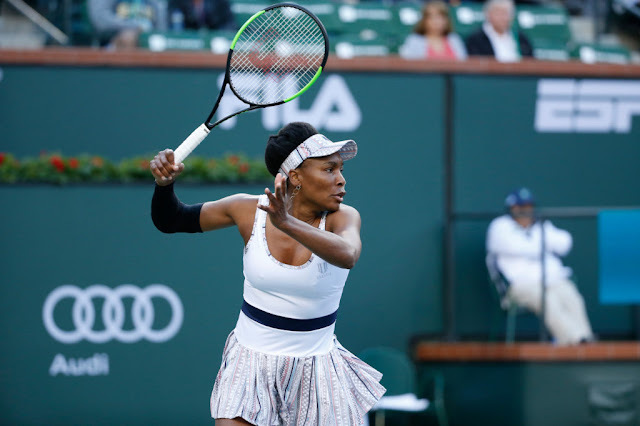 Venus Williams into the quarterfinals at the 2019 BNP Paribas Open, Indian Wells. 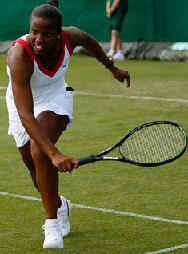 Venus Williams proved beyond a shadow of a doubt that she remains a fierce competitor on the WTA Tour at 38 years old. The legendary one went toe-to-toe and then some with Germany's Mona Barthel who also had some impressive moments during the match. 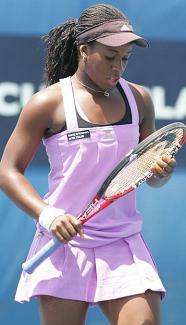 Venus defeated Barthel 6-4, 6-4. Venus has reached the quarterfinals at this event 3 times, and was into the semifinals in 2018. Next up for Venus is the winner of the match between Angelique Kerber and Aryna Sabalenka. 2019 BNP PARIBAS OPEN: Felix Auger-Aliassime Posts, "A Fighting End To The BNP Paribas Open"
ATP Tour - Gael Monfils’ resurgence continued on Monday in Indian Wells, as the 18th-seeded Frenchman defeated Spaniard Albert Ramos-Vinolas 6-0, 6-3 to reach the fourth round of the BNP Paribas Open. The 32-year-old, who advanced to the semi-finals in his past three events, is now 14-3 in 2019. He captured his second ATP 500 trophy in February at the ABN AMRO World Tennis Tournament in Rotterdam. Thanks to his early-season efforts, World No. 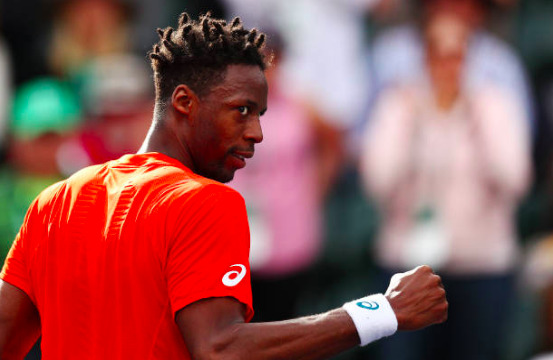 19 Monfils is back inside the Top 20 of the ATP Rankings for the first time since July 2017. He will face a stiff test in the next round against World No. 1 Novak Djokovic or German veteran Philipp Kohlschreiber. 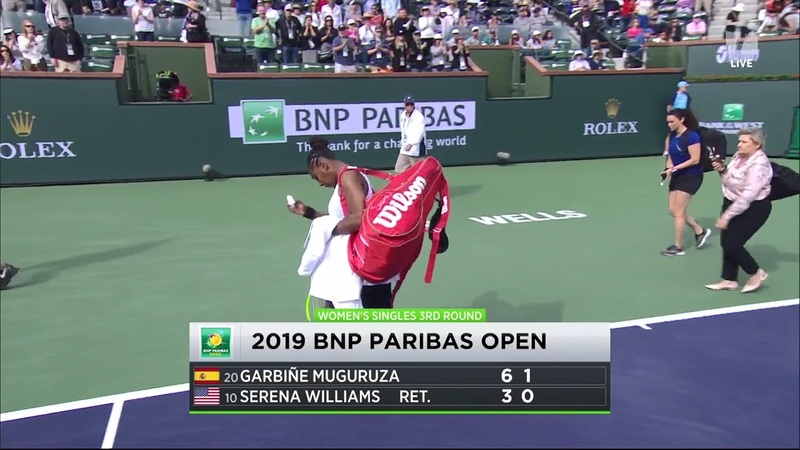 2019 BNP PARIBAS OPEN: And Again, GOOOOOO VENUSSSSSSSS!!! 2019 BNP Paribas Open 3rd round contender Venus Williams takes out fellow American Christina McHale. 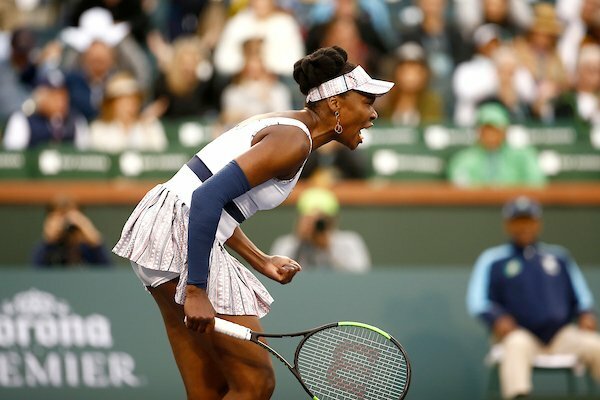 The 2019 BNP Paribas open becomes more watchable with every match in which the legendary Venus Williams prevails. There will never be any forgetting of the power, precision and dedication that she brought to the game when she originally hit the pro circuit, and to see her effect any measure of her tremendous talent in 2019 is pure joy. In a relatively balanced match against American Christina McHale, Venus exercised a level of shot placement throughout the match that lead her to a 6-2, 7-5 win. 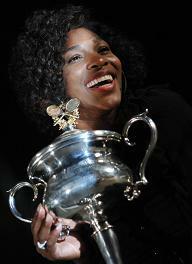 Next up for Venus is World No. 97 Mona Barthel of Germany. Serena Williams leaving court after retiring from 3rd round match against Garbine Muguruza. Serena Williams retires after the first game of the second set while being affected by something curtailing her ability to play. Playing against World #20 Garbine Muguruza of Venezuela, Serena began the match quickly getting to 3-0, giving all the appearances that she came to seriously compete. Unfortunately she slowly began to play with less effect and called for the trainer until she eventually retired. 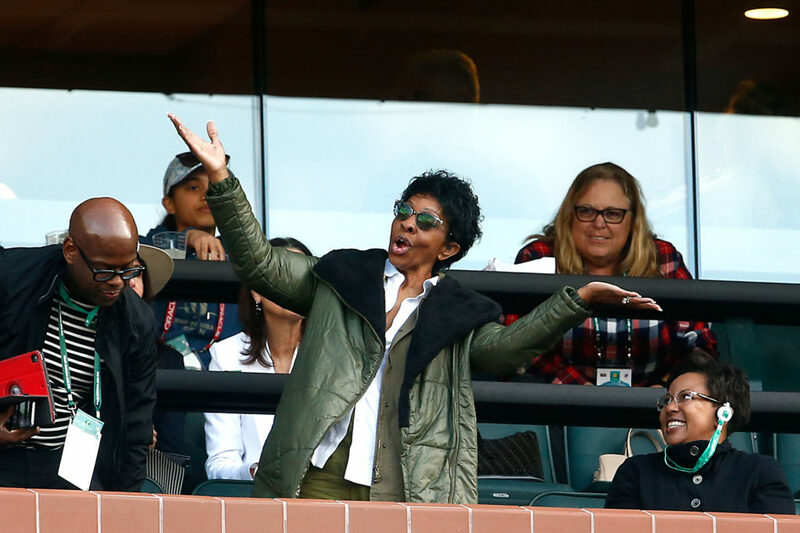 BNP Paribas Open - Empress of Soul and Williams sisters’ superfan Gladys Knight has long been a tennis devotee. Not only does the Midnight Train to Georgia singer, Rock and Roll Hall of Famer and winner of seven Grammy Awards revel in watching the sport, she plays it often, too. BNPParibasOpen.com caught up with the Pips’ frontwoman in Indian Wells. 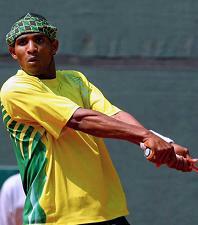 What is it about tennis that draws you to the sport? I love the fact that it has the element of exercise, for me, because I need to keep it moving! [Laughs.] This game has helped me so much. 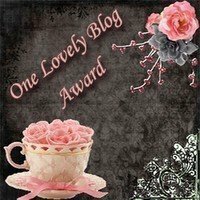 The competition of it is something that I really respect. On top of that, what the players have to go through to get prepared, to get fit, the thought process. Am I going to hit it left, am I going to hit it right? All of those things are exciting to me. It’s just so fun to watch. Can you relate to that? Because you’ve got to put in a lot of preparation when you’re recording, performing. Absolutely. 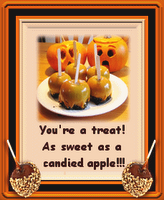 The preparation is just as strenuous in our industry. You’ve always got to be fit. As far as your material is concerned, you have to be very specific about who you’re performing for, where you’re performing. I’ve been blessed to travel all over the world. It’s been an amazing journey for me. Tennis, for some reason, brings all kinds of people together. When you look around at a tennis event, you wonder why the rest of the world can’t get it right. Nobody’s out there talking about this person, that person, where they’re from, how they look. That’s another thing I admire and respect about this sport. I think I know the answer to this already, but who do you go out of your way to watch? Now you know it’s got to be Serena and Venus. [Laughs.] I’ve been on those girls since they were knee high. 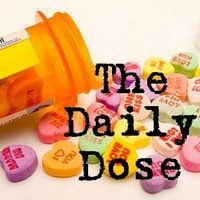 The family connection that they have — it was the same in my family. My mom and dad, aunties and cousins, grandmothers. It’s a great thing to come together around that. They’re pushing you into higher plateaus because of their support. Their whole family is involved. Their mom was some player, too. 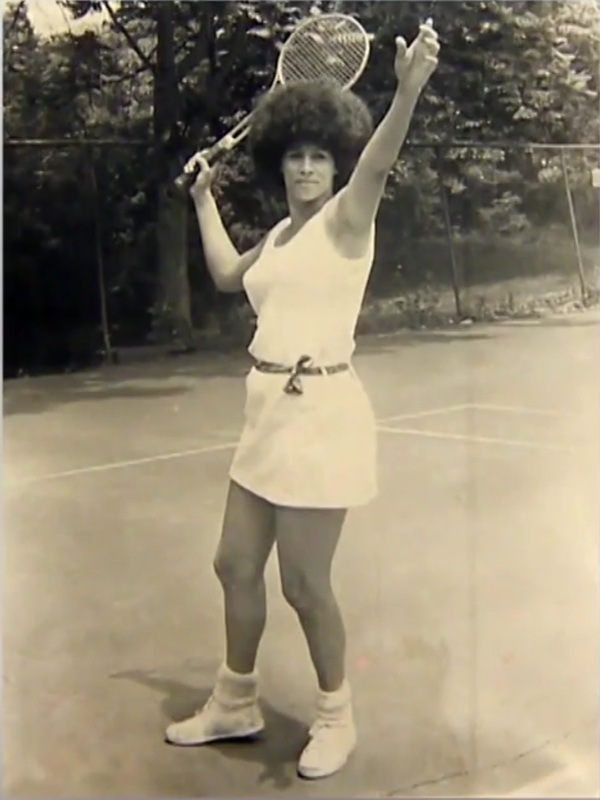 She’s so laid back, Oracene. The public doesn’t know a whole lot about her. They know their dad, Richard. But they don’t know the strength of their mom. Ooohh, she’s got it going on. We’ve been doing this for many years, supporting each other. They come to my concerts, I go to their matches. That’s what it’s all about. Tennis is just an amazing journey. Is Venus and Serena’s story underplayed? Let me tell you one thing as far as family is concerned. That’s one of the things I love most, even though they are amazing athletes, is that it was a family affair. 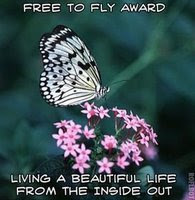 That’s how I got to be what I am and who I am today. I’ve been singing since I was four. Like them. They were just toddlers playing around on a tennis court. My mom was right there to teach me. She didn’t speak the language, but she taught me to sing Ave Maria in Latin phonetically. That’s the same thing that Venus and Serena’s parents did. You do it like this, you do it like that. They were respectful enough of their parents to follow those rules. Look at them now. I love these ladies. I think that’s the one thing that so many artists and celebrities have missed, that their parents sometimes see things a lot better. They overcame the odds coming out of Compton, California, climbing to the top of this sport. Absolutely. 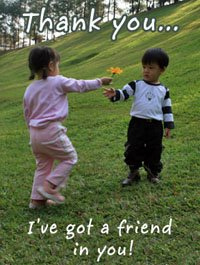 The same with me. I lived in Atlanta, Georgia. People were still marching, trying to have freedom. As we grew up, we came to know about those things. Because of our culture, sometimes when we go outside of our genre, our communities, you get teased. I know I did. I’m sure they did, too. Like the way they wore their hair. They teased them about it. We ain’t trying to be you — we just want to play tennis. Don’t tell me about beads in my hair! They were strong enough, respectful enough, to move to where people could be comfortable without really giving up their culture. I love those girls. Naomi Osaka and Kristina Mladenovic post match. 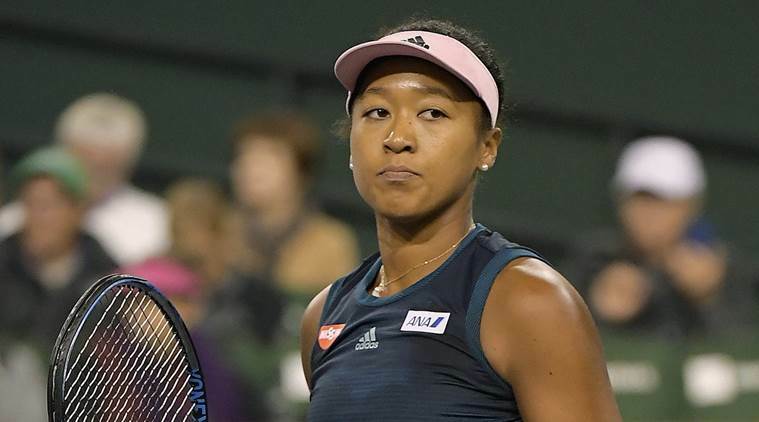 INDIAN WELLS, CA, USA - Top seed Naomi Osaka got her BNP Paribas Open title defense off to a winning start after earning sweet revenge against Kristina Mladenovic, 6-3, 6-4. The memory of the pair’s most recent meeting would have been fresh on Osaka’s mind - two weeks ago the World No.1 was stunned by Mladenovic in her opening match at the Dubai Duty Free Tennis Championships, falling in straight sets to give the Frenchwoman the biggest win of her career. Next up for Naomi will be American Danielle Collins. 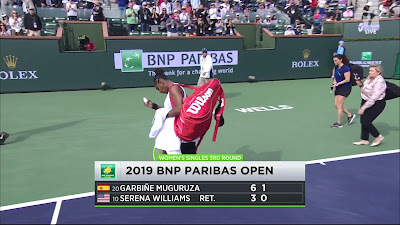 2019 BNP PARIBAS OPEN: GOOOOOO VENUSSSSSS!!!!! "I Just Love The Battle" !! 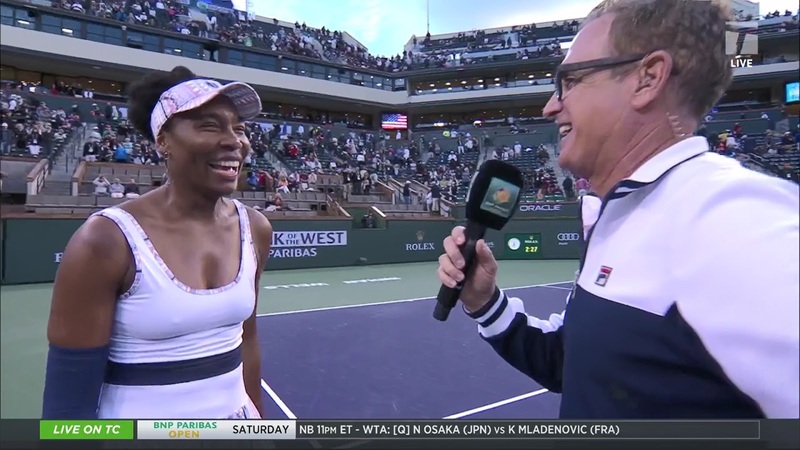 Venus Williams in 2019 BNP Paribas Open post-match interview. 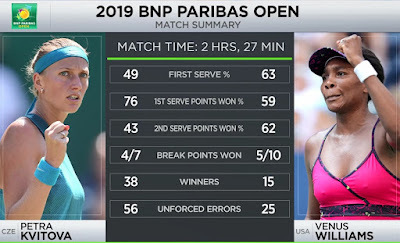 Having been one of the 2018 BNP Paribas Open semi finalists, here at the 2019 tournament Venus Williams has maintained her fight and prevailed over World #3 Petra Kvitova of the Czech Republic with a 4-6, 7-5, 6-4 win. In a 2 hour 27 minute match, with not one single ace, Venus managed to either keep Kvitova at bay, or come back from a single and double break down. In her post-match interview she stated, "I think everybody felt those ups and downs with me, I could feel the collective sigh, or the collective roar, it's unbelievable, I never want to let you down". 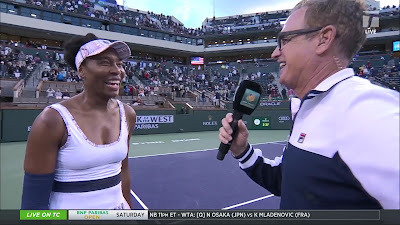 2019 BNP PARIBAS OPEN: Venus Williams, "Every Day Is Not Your Best Day Out Here, But It Doesn't Mean That The Heart And Desire Isn't There"
Venus Williams ended a roller coaster match today against Germany's Andrea Petkovic with words of wisdom during her post match interview saying, "Every day is not your best day out here, but it doesn't mean that the heart and desire isn't there". 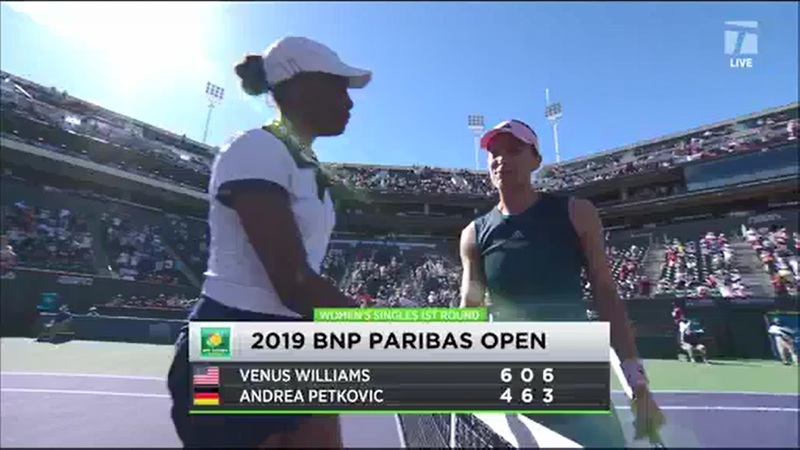 Venus, currently ranked at #36 on the WTA Tour, had a rough day at the office at the 2019 BNP Paribas Open in Indian Wells, CA. Nonetheless, whether it was fatigue, or otherwise, she was able to work her way through winning the first set at 6-4, but then turned around and lost the second set 0-6, she then returned to sufficient form to take the third set and match at 6-3. Hopefully Venus will be able to maintain form in the next round, as she is scheduled to play a great competitor in the Czech Republic's Petra Kvitova. 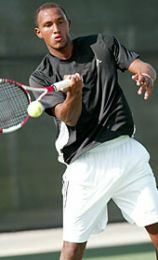 INDIAN WELLS, Calif. — Canada's Felix Auger-Aliassime has advanced to the second round of the BNP Paribas Open. The 18-year-old from Montreal crushed Cameron Norrie of Britain 6-3, 6-2 in the first match on centre court on Thursday at the ATP Tour Masters 1000 event. Auger-Aliassime, ranked 58th in the world, had 20 winners — 12 more than the 48th-ranked Norrie. The Canadian got 80 per cent of his first serves in and had the same percentage for first-serve points, well above Norrie's 59 per-cent success rate on the latter stat. Auger-Aliassime converted on all three of his break-point opportunities and won all his service games. The result continues an impressive stretch for Auger-Aliassime, who moved well inside the top 100 for the first time in his career after making the final and quarterfinals, respectively, in his past two events on clay in Brazil. Auger-Aliassime will next face No. 9 seed Stefanos Tsitsipas of Greece, who got a first-round bye. The 20-year-old Tsitsipas made headlines in Toronto last year when he advanced to the final of the Rogers Cup. No. 13 seed Milos Raonic of Thornhill, Ont., and No. 24 seed Denis Shapovalov will join Auger-Aliassime in the second round after getting first-round byes. On the women's side, Eugenie Bouchard of Westmount, Que., was scheduled to play a first-round match later Thursday against Kirsten Flipkens of Belgium. Bianca Andreescu of Mississauga, Ont., had Thursday off after winning her first-round match on Wednesday. Naomi Osaka Joins The Ranks Of "Sheroe" Barbie Role Model Dolls, "Feels Surreal Because I Played With Barbies"
World No. 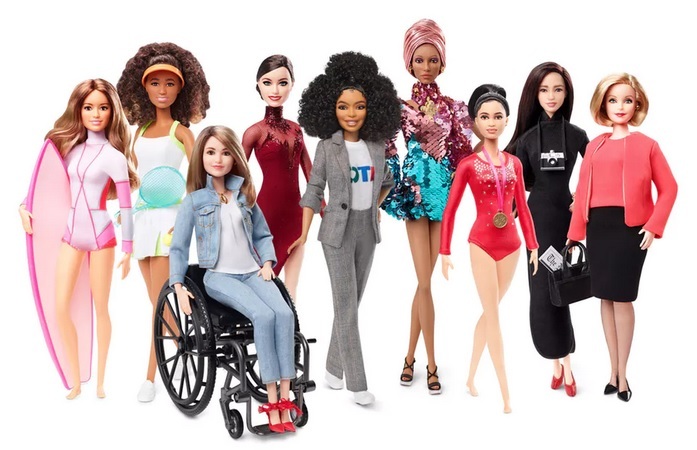 1 Naomi Osaka joins the group of powerful and inspiring women who are already part of Barbie’s “Sheroes” initiative. 2019 BNP PARIBAS OPEN: World #1 Naomi Osaka Unveils Her Very Artistic 2018 Champion Mural, "It's Really Incredible"
Contributions To The Black Tennis Hall Of Fame Can Now Also Be Made On Black Tennis Pros - Thanks For The Love And Support!! 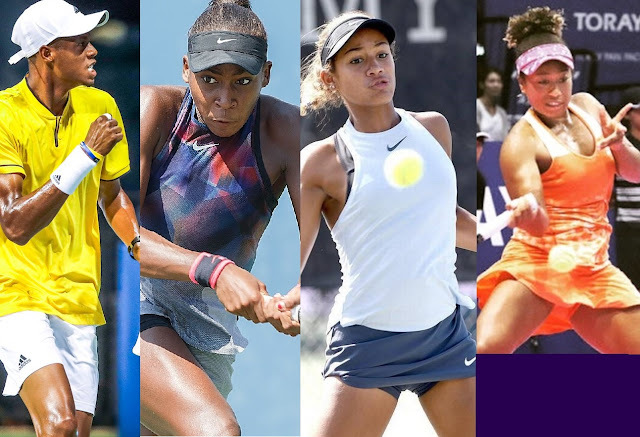 WTA: Through Two Months Of The 2019 Season, What Is The Top Ten Doing Better Than The Field? This time last year, the story unfolding in the 2018 WTA season revolved around the return of serve. Twelve months on and it's the serve that has set the current Top 10 apart from the field. In 2018, the start of the season was dominated by counter-punchers and aggressive counter-punchers. Caroline Wozniacki, Angelique Kerber, and Elina Svitolina swept the biggest tournaments in Australia, before Petra Kvitova tore through February. This season has been about the power players, highlighted by Naomi Osaka, Kvitova, and Karolina Pliskova picking up the big titles Down Under. 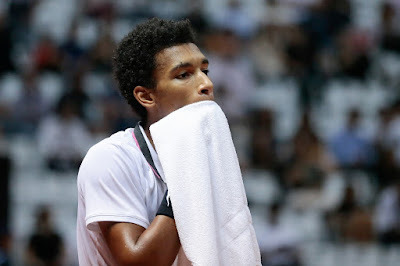 Canadian Felix Auger-Aliassime in quarter final of the 2019 Brasil Open. 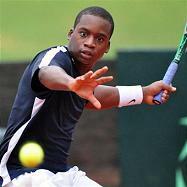 Serbian Laslo Djere and Canadian Felix Auger-Aliassime met in the Brazil Open quarter final five days after dueling for the title in Rio De Janeiro. 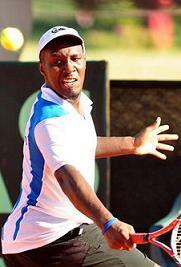 Just like on Rio clay, Djere triumphed and eliminated the young Canadian 6/2, 3/6, 6/3. 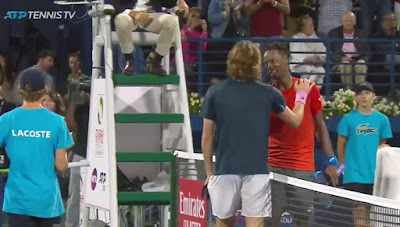 Gael Monfils and Stefanos Tsitsipas in 2019 Dubai Duty Free Tennis Championships semi final. 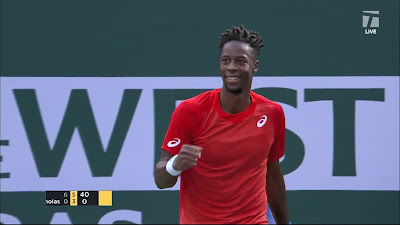 Frenchman Gael Monfils, who was 3-0 down in the first set before storming back to win five games in a row to take it 6-4, the defeat by Stefanos Tsitsipas of Greece was hard to take, and one he pinned on his faulty serve. The defeat came in at 4-6, 7-6, 7-6. “In terms of the game, I guess I had some opportunities,” the world No. 23 said.